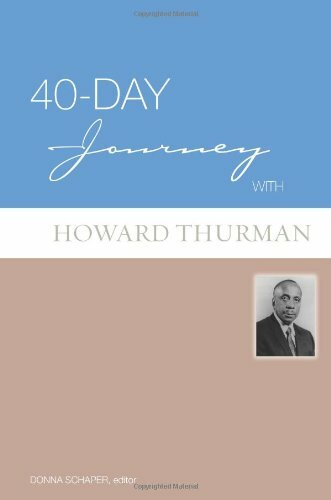 Howard Thurman was an influential American author, philosopher, theologian, educator, and civil rights leader. Strongly influenced by his grandmother, a former slave, who raised him and a Quaker mystic under whom he studied, Thurman adopted a philosophy of activism rooted in faith, guided by spirit, and maintained in peace. Editor Donna Schaper selects forty inspiring passages from the works of this spiritual advisor to Dr. Martin Luther King, Jr. to accompany readers on their own spiritual journeys. Ideal for traveling through the seasons of Advent and Lent.